Maggie Nelson has established herself as one of our foremost cultural critics in this landmark work about representations of violence in art. 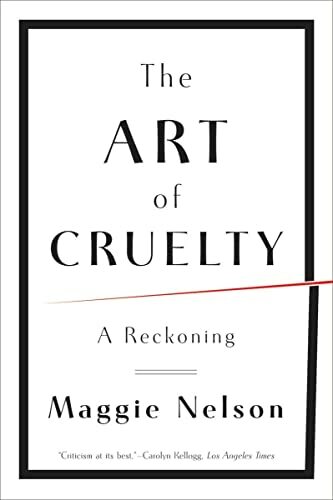 "Nelson makes a compelling case for taking a new look at cruelty." "An important and frequently surprising book...could be read as the foundation for a post-avant-garde aesthetics." "...full of rigorous thinking on the interplay between art and ethics." Maggie Nelson is the author of several books, including her most recent work, Bluets. She teaches at CalArts.